Handcrafted in weaved cotton, this holdall is both handsome and hardwearing. With pockets aplenty, a removable shoulder strap and padding to keep your laptop safe and sound, this capacious bag is your ideal carry on companion. 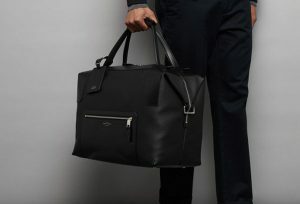 If you fancy really looking the part, there’s a matching cabin bag and smaller holdall to match. These earphones may look like any other pair, but they’ve won numerous awards thanks to their ability to block out up to 90% of background noise to give a near to live sound experience. Designed for use on the go, they come with both soft and hard cases as well as two cables of differing lengths as well as a volume attenuator, airline adaptors, a cable clip and even a polishing cloth. Be warned, your home sound system will never sound as good again. 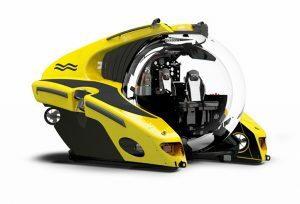 For those looking for the ultimate dive accessory, surely a personal submersible is going to be hard to beat? Together with two friends you can explore the underwater world and record your adventures using the on board camera. Dive to 1,100 metres travelling at up to 3 knots whilst enjoying the crystal clear views afforded by the acrylic sphere. Never be without your favourite products again with this oversized toiletry bag. 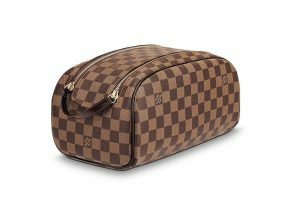 Fashioned from classic LV monogrammed canvas, this double zipped pouch will swallow up all your travel essentials with room to spare. Though if you are hard pushed for space, there’s an entire range of complementary bags, boxes and cases to match. If you’re heading to the beach, a practical cover up dress that can waft from sandy stroll to cocktail bar is essential. Beachwear favourite Melissa Odabash has just launched the Faith maxi dress with a teal geometric pattern and billowy fabric that exudes barefoot elegance. 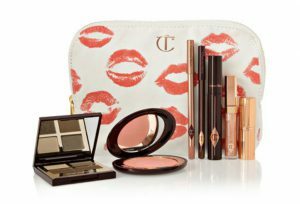 Channel a glamorous ‘70s vibe with this essential kit that will help you achieve ultimate beach beauty. Inspired by the photography of Norman Parkinson and Guy Bourdain this jet set look will be right at home in Ibiza, St Tropez or Tulum this season. Wishing you all safe summer travels and wonderfully restful and restorative holidays.